In 2014 a team of dedicated Anglicans from Te Hui Amorangi o Tai Tokerau took part in the Oxfam 100km walk held in Taupo, Aotearoa, NZ. Oxfam is an international relief organisation that was founded in Oxford, England in 1942 by a group of Quakers and social activists in support of famine relief. Oxfam’s aim is to work for greater impact on the international stage to reduce poverty and injustice in developing communities. Oxfam puts projects and people on the ground in locations where the work of Jesus is needed and helps to build stronger communities. The aim of this year’s “For All the Saints Team” was to help raise funds so Oxfam can continue this important ministry. The name “For All the Saints Team” is taken from the Anglican calendar which celebrates our church’s most recognised servants. The memory and spirit of those servants is honoured by using this name. When heading south to Taupo to participate in the trailwalker event the team called in to pay their respects at the grave of Tarore, whom the Anglican Church in Aotearoa New Zealand commemorates each year on 19 October. “For All the Saints Team” for Oxfam was originally formed in 2012 at St John’s Theological College in Auckland, Aotearoa, New Zealand by students inspired by Oxfam’s ministry and the challenge of participating in an endurance event. The “For All the Saints Team” that participated this year in the Oxfam 100 kilometre Trailwalker event in Taupo raised $4,000 for Oxfam. This year’s team was made up of members from Te Hui Amorangi o Tai Tokerau and was also the recipient of financial assistance and support of Te Hui Amorangi o Tai Tokerau, (Māori Anglican pastorates from Auckland to the most northern cape of Aotearoa), further fundraising held by the team at St John’s College, and individuals, who included church, family, and anonymous donors. 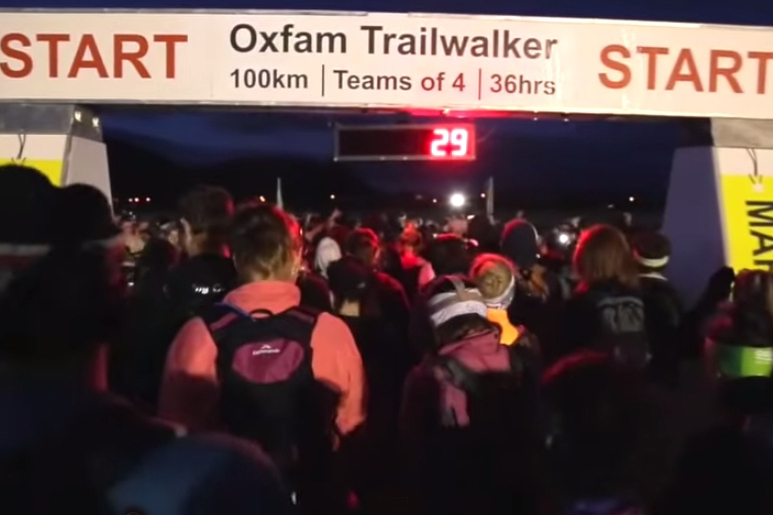 The Trailwalker 100 km event in Taupo is a major annual fundraising activity for Oxfam which brings around 1 million dollars. It is very well organised, now in its 9th year. With over 265 teams participating, each of four people, plus their support crews and vehicles it is a major logistical challenge for the organisers. Events of this scale can only take place with a dedicated team of staff, and an army of volunteers and supporters each playing their part in making it a success. Trailwalker was the major event in Taupo that weekend, so the participants and their support crews literally took over the town from the Friday through to the Sunday afternoon. It is a tribute to Oxfam’s initiative and organisational skills that the event functions so well. This year’s event also included a team participating from Hong Kong and a team of Nepalese Army Ghurkhas. “For All the Saints Team” 2014 Trailwalker participants and support crew include Kerry Davis, Lynnore Pikaahu, Rev. 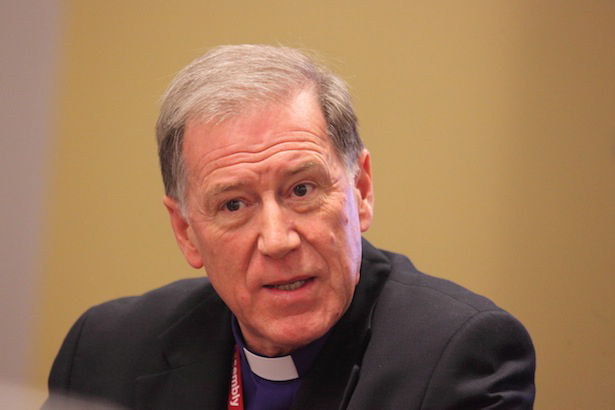 Tony Brooking, Rev. Glen Popata, Rev. Jacynthia Murphy, Rev. Stan Pilbrow, and Manaaki Popata. The following clip shows “For All the Saints” and their experience at the Taupo Oxfam event.